What gives Grace Electric its identity and sets it apart from the competition? In short, it's Grace Cummings Pas. She is the founder and operator of the company. Grace has become very successful in a field which is dominated by men. That's no easy feat, and in some ways required more determination than her male counterparts. But, this isn't a men versus women scenario. Graces' experience and passion to be an electrician is ultimately what drives the success of the company. Never being satisfied and wanting more has helped Grace overcome stereotypes and establish a company that strives to satisfy the desires of her customers. We get it. You want a service provided to you of the highest quality, which is very affordable, and makes you feel good about your investment. That's what we mean when we say "Get Wired". It's not just there on our vehicles and t-shirts for fun. It's there because we are out to fulfill the wants and needs of those looking for solutions to their problems. Our ultimate goal is to make our life's work, work for you. We want our customers to know that this isn't just a job for us. It's every challenge which has shaped our personal experiences and our expertise. This gives us the means to share with others what we have found in ourselves. Which is a rare sense of fulfillment that only those who are happy in their work can attain. Providing others that same sense satisfaction when they want our help is what we try our best to succeed at. Hi, I am Grace Cummings Pas, and I want to thank you for taking a look at our company! I'd like to also take this opportunity to thank all of our customers who have supported our business and extended positive recommendations. Please call us for any of your electrical needs! "Wouldn't do business with any other electrical contractor. Great work! Great company!" "Excellent. Very professional and quality work." 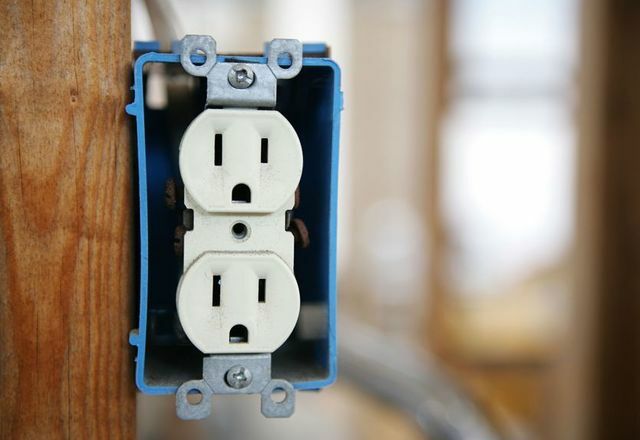 Grace Electric is your electrician serving the Fargo ND, Moorhead MN, and surrounding area.